Whether you want to learn something new, you're hoping to improve on a skill or hobby, or just want to get out of the house and participate in a fun and interesting workshop or class, there are many places in Toronto to do it. From sewing and knitting, to painting, woodworking and jewellery design, delve into the world of working with your hands. Here are a few good spots to get started. Need to spruce up your space, or at least a piece of furniture? At Re:Style Studio you can make that happen with their series of workshops dedicated to furniture and home décor. There are options to bring in your own piece of furniture to either refinish or reupholster, or actually create items from scratch including an ottoman and a headboard. Classes are kept small so everyone gets the attention they need and snacks and lunch are provided (snacks at evening workshops and lunch at weekend workshops). RE:Style also offers a DIY abstract art class if you want to create your own masterpiece to add colour to your walls. You can also book custom workshops for private events and parties. There are quite a few DIY workshops offered at The Shop. The space itself is a haven for makers and provides tools for ceramics and woodworking as well as tables and equipment – and most importantly, the space to get creative. 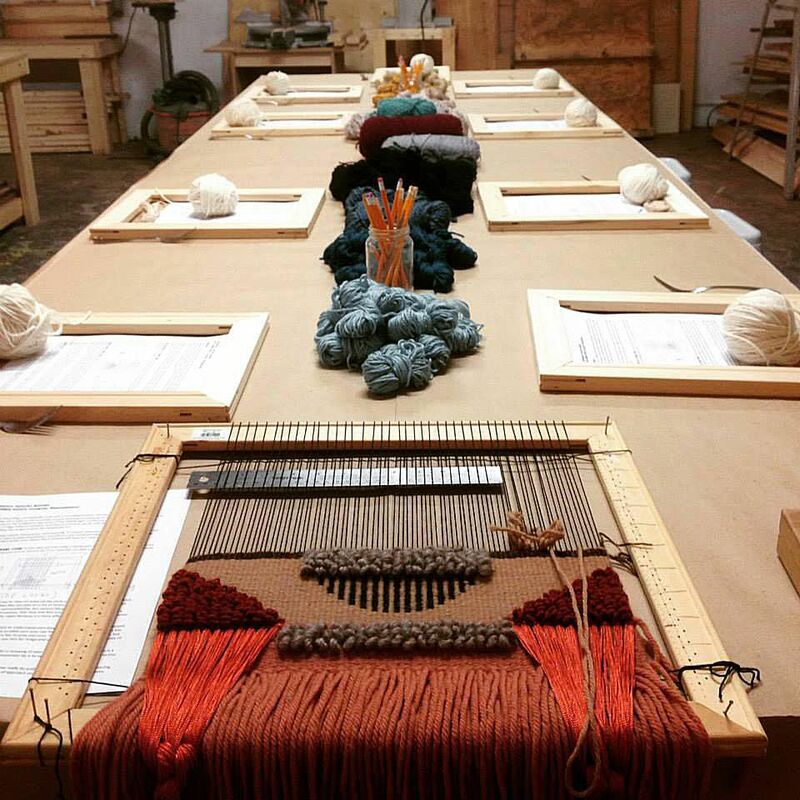 If you’re not coming in to work on your own projects, you can take advantage of the aforementioned workshops for everything from batik fabric dyeing and embroidery, to loom weaving and various woodworking projects like cutting boards and wooden spoons. Sure, you could just go to the store and buy a purse or pair of mittens or take a garment that needs mending to someone else to do it – or you could learn how to make and repair yourself. The Make Den offers a whole host of workshops from beginner through to advanced and is an ideal place to get acquainted with if you’ve ever through about learning to sew. In addition to sewing, alterations and mending they also have workshops that cover everything from leather and quilting to screen printing. Anyone interested in taking a deep dive into metal and glasswork should look into the intensive (but beginner-friendly) courses and workshops offered at Nanopod in the Annex. You’ll learn all sorts of techniques depending on the workshop you choose, including soldering and stamping metal and no experience is necessary to sign up. In an eight week metal and glass course you can expect to make up to six pieces. Terrariums continue to be a popular home décor item because they can be made in all shapes and sizes to complement any room in the house so long as they’re in a spot that gets enough light. You can learn how to make your own at Crown Flora Studio. The two hour workshop includes one geometric glass container, one glass orb, plants, materials, tools and decorations for your terrarium and at the end of it all you get to take your creation home with you. This hub for all things creative offers an array of workshops to satisfy your desire to learn something new or building on a skill you’re already honing. Some workshops to choose from include opportunities to design your own tote bag, create a hard cover arrow stitch journal and make a letterpress card among several other interesting and creative options. This welcoming space on Sterling Road near Toronto's Junction neighbourhood offers one night and multi-week classes on furniture making, woodworking, and related projects. Work alongside experienced furniture makers to learn a mix of traditional and contemporary techniques. They offer classes by season so check the website to see what's on offer during the time you're hoping to take a class.